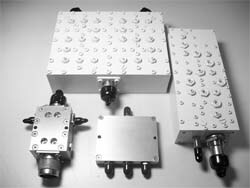 Since 1996, Isotec has designed,developed and manufactured extensive line of RF/Microwave Connectors , RF Components and Filters for wireless service providers. Isotec’s Product line include Low Pim RF Connectors and also Low Pim RF Components such as Power Deviders and Directional Couplers etc. We design and produce High Frequency range Connectors such as 2.92mm and 2.4mm and between and in series High Frequency adaptors. We produce customized products up to 40 Ghz and our Low Pim products can meet -160dBc with 2 tones and 20 watt test. ISOTEC offers quick prototyping, advanced in-house testing and high-preformance Designs that are cost effective practical and repeatable. ISOTEC is ISO-9001 and ISO-14001 registered. This system includes a quality program designed to achieve continuatous process and product improvement. All suppliers, material and processes are controlled and traceability maintained. ISOTEC is committed to providing the highest quality, most reliable products possible. We will meet and exceed our customer’s expectations by designing for excellence in products and in process.